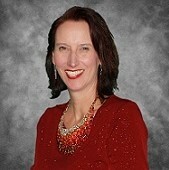 Janet Adams is a Licensed Clinical Social Worker in the state of Georgia. Janet enjoys working with young adults and adolescents and believes in a Family System approach so that all family members work together towards solutions. Janet believes in a mixed therapeutic approach, depending on the client's needs, and typically begins with a Strengths Perspective to identify which approach best fits. Janet has training in Cognitive Behavioral therapy (CBT) and Dialectal Behavioral Therapy (DBT) and Motivational Interviewing (MI), all of which can be used to assist her clients. Janet believes CBT is helpful to assist clients identify unhelpful thought patterns which can contribute to depression or anxiety. Janet teaches, practices, and challenge her client's patterns so they can be replaced with positive thinking. DBT encourages the identification and use of techniques to encouraging clients to use a wise mind and choose the most effective strategies for their concerns. Janet uses Motivational Interviewing to identify readiness for change and to focus her client's energies for change. Janet also sees patients with different behavioral health disorders from: Depression, Anxiety, Bipolar, PTSD, and OCD. She earned her Bachelors of Arts in Society and Justice from the University of Washington in 1990, and her Masters in Social Work from Georgia State University in 2009. Janet has experience in a variety of settings including working with homeless mothers; serving a career counselor and developing career inspiration training for their children in a residential emergency housing program. Janet is a NASW member and trained in DBT, CBT, Motivational Interviewing and Family Systems. Janet has worked as career counselor for a program for single mothers. In addition, Janet has worked as a case manager and clinical director for an inpatient psychiatric hospital and its outpatient programs before going into private practice. Janet graduated top of her class from Georgia State University. Janet is a member of the National Association of Social Workers. She has also worked for outpatient community mental health services as well as inpatient and outpatient behavioral health.